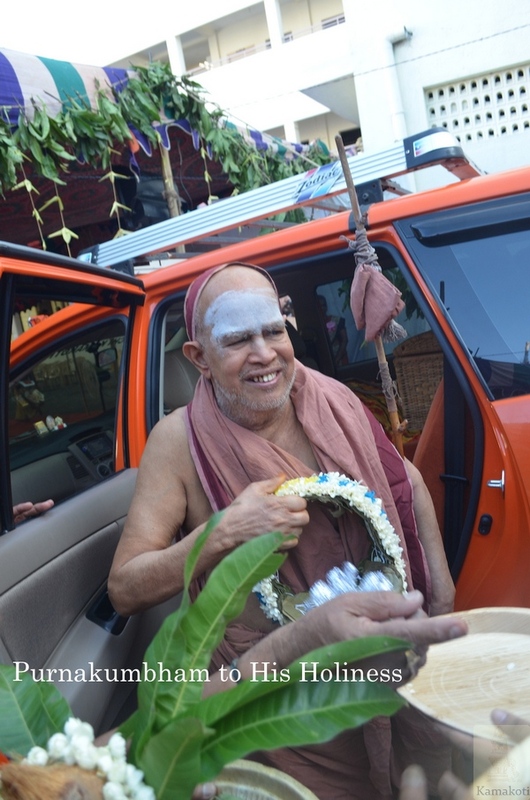 His Holiness Pujya Shri Shankara Vijayendra Saraswathi Shankaracharya Swamigal arrived at Chengalpattu town in the early hours of Saturday. 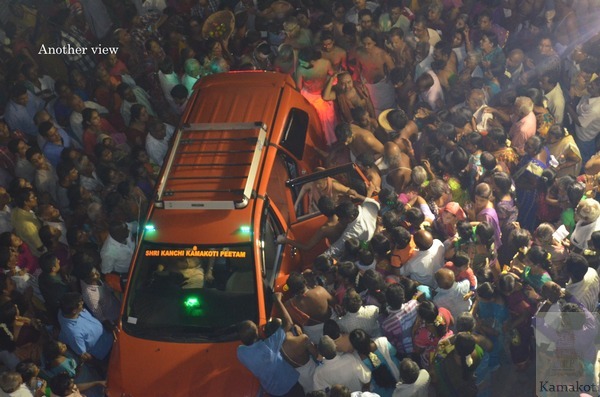 His Holiness was received by the devotees in front of Ayyappan temple in the outskirts of the town. 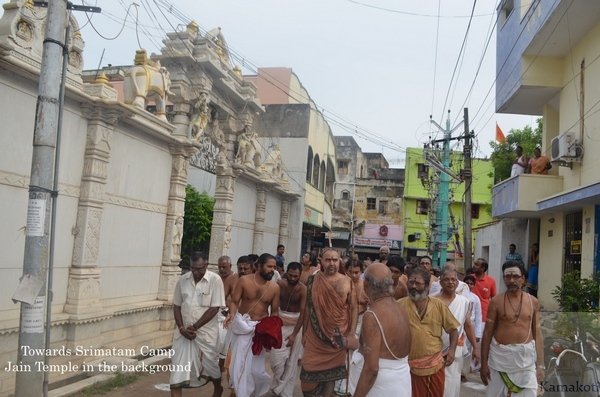 His Holiness was then taken by procession through the Shiva temple to the place of camp. 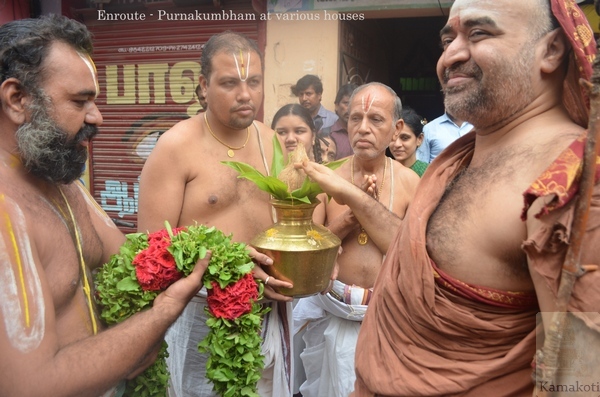 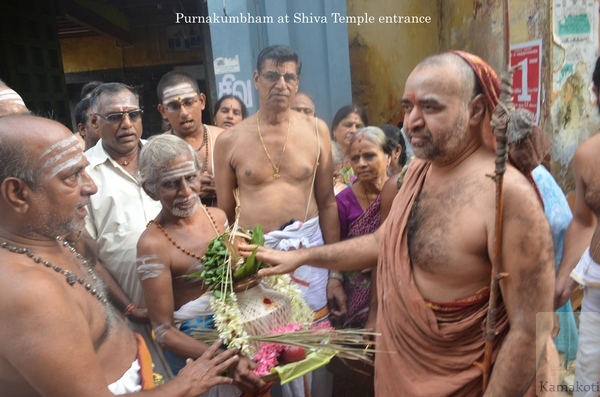 Enroute Purnakumbhams were offered to His Holiness by the devotees. 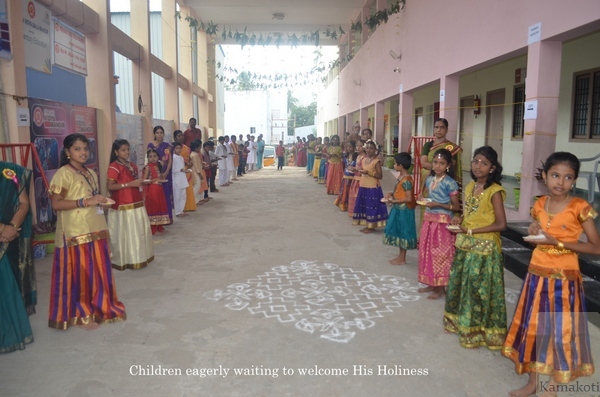 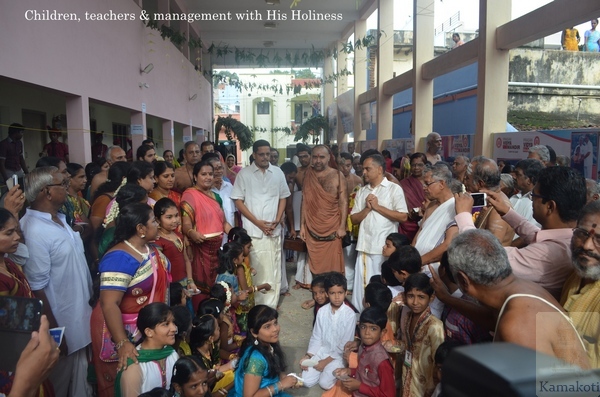 His Holiness arrived at Prasan Vidya Mandir School, the place of Srimatam camp at around 8.30 pm and was received by the management, teachers and children. 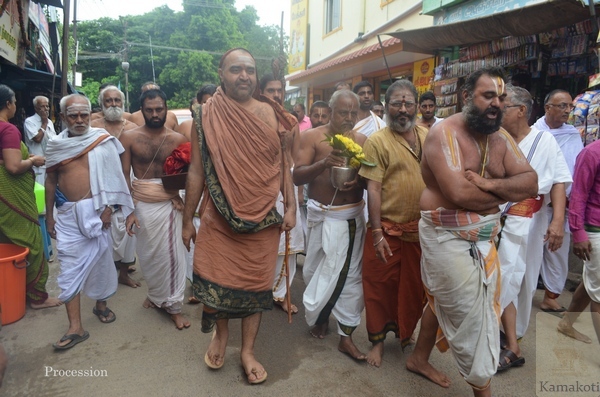 His Holiness gave prasadam and delivered Anugraha Bhashanam. 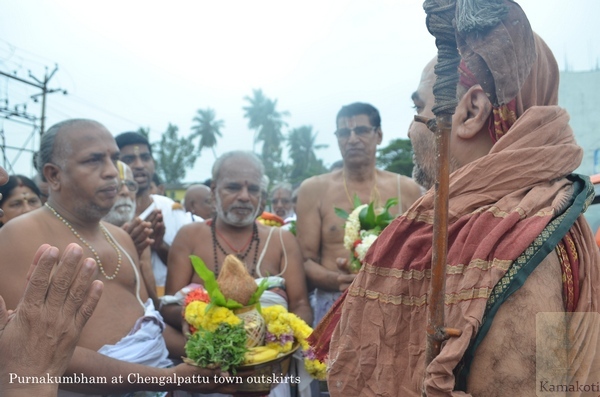 His Holiness then performed Chandramouleeshwara Puja. 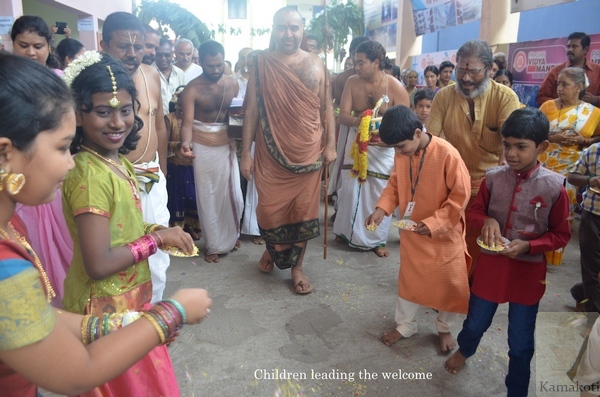 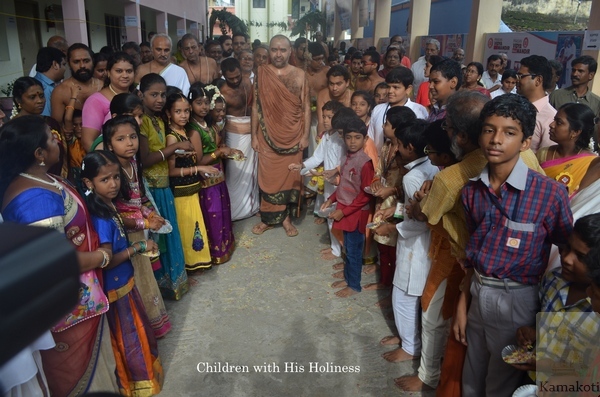 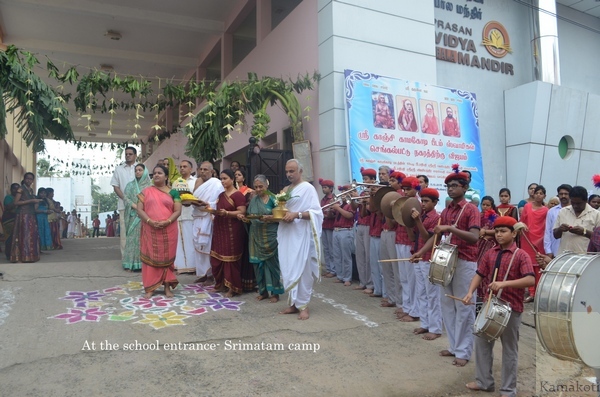 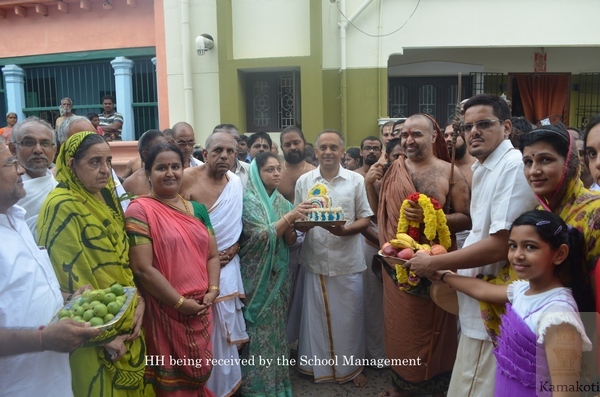 In the evening His Holiness Pujya Shri Jayendra Saraswathi Shankaracharya Swamigal arrived at the school. 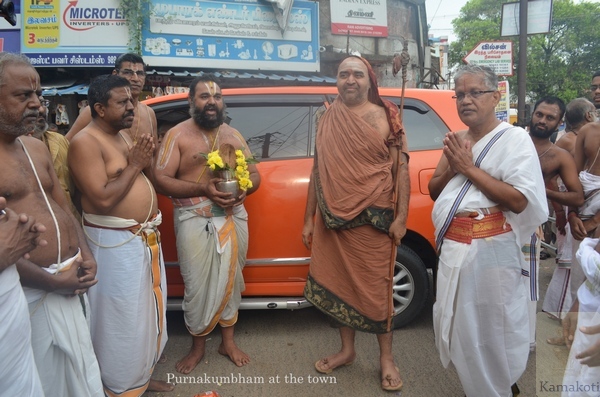 His Holiness was received with Purnakumbham. 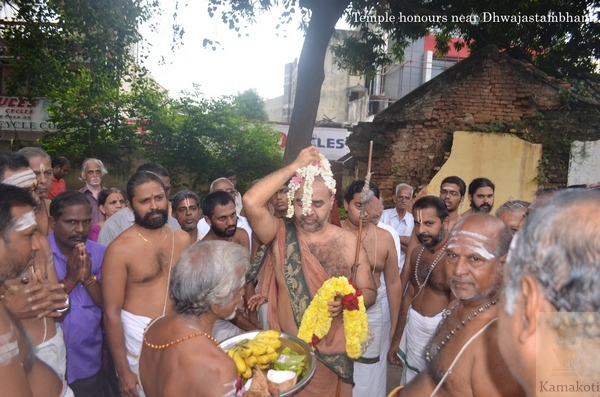 His Holiness gave darshan to the devotees and performed Pradosha Puja. 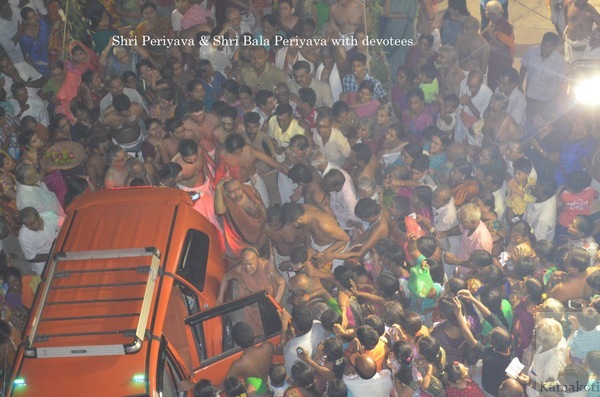 The puja was attended by a large number of people. 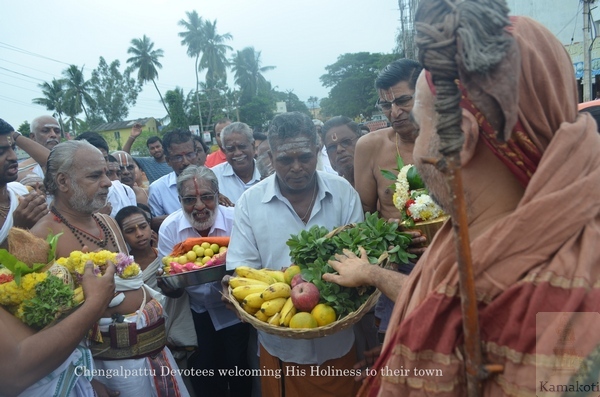 His Holiness blessed one and all..